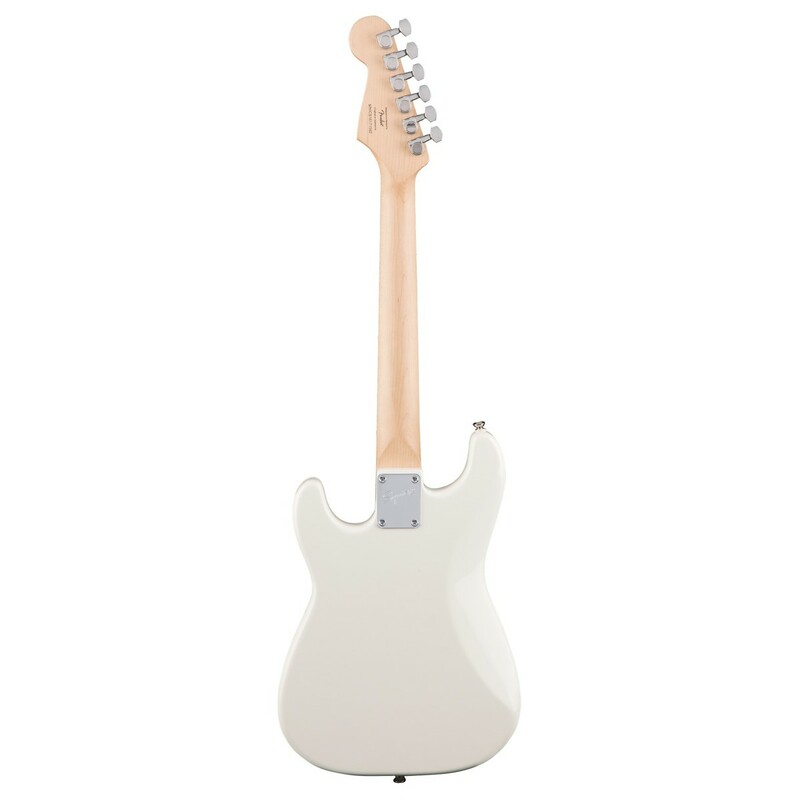 The Squier FSR Mini Strat MN, Olympic White is a high-performance 3/4 electric guitar designed from young players, featuring a 22.75'' scale length ideal for small hands and travelling musicians. Crafted from a lightweight hardwood body and maple neck and fingerboard, player's receive a comfortable playing experience and a natural tone. Equipped with a set of powerful standard single-coil pickups, the Mini Strat produces a wide range of classic Fender tones, perfect for a variety of musical styles. 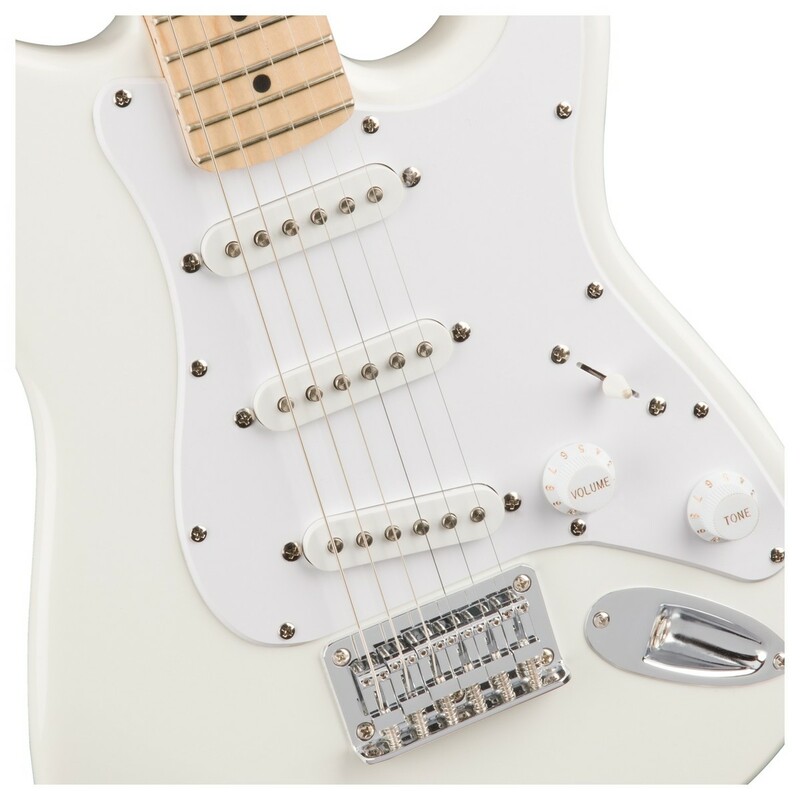 Its stunning Olympic white finish, chrome hardware, and white pickguard creates an incredible appearance, making the Squier Mini Stratocaster the perfect guitar for stars in the making. 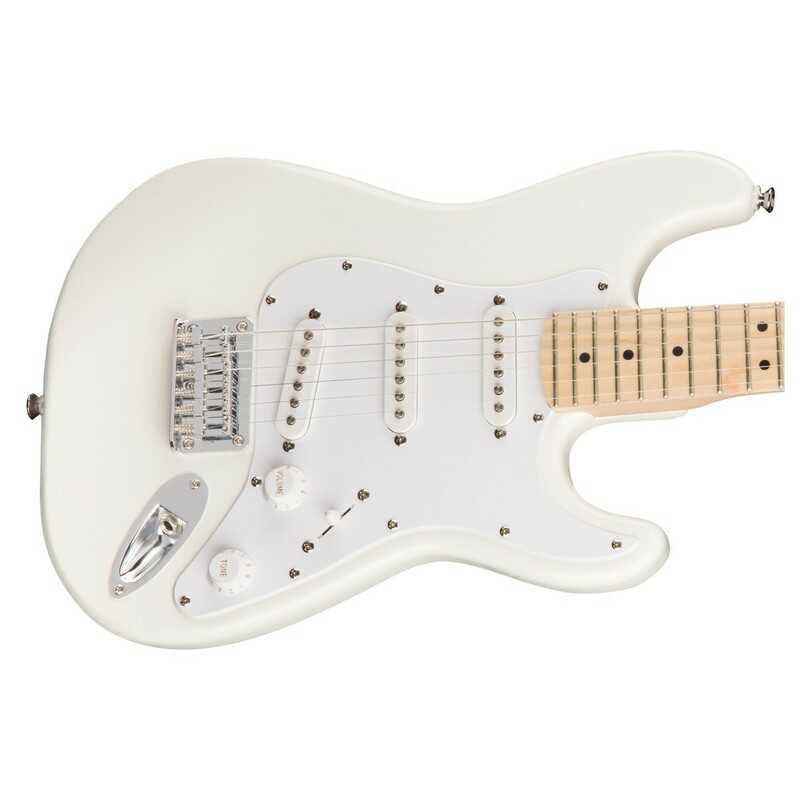 The 3/4 sized Stratocaster is perfect for beginners and young guitarists, with its smaller size ensuring players won't have to reach uncomfortable lengths to play. 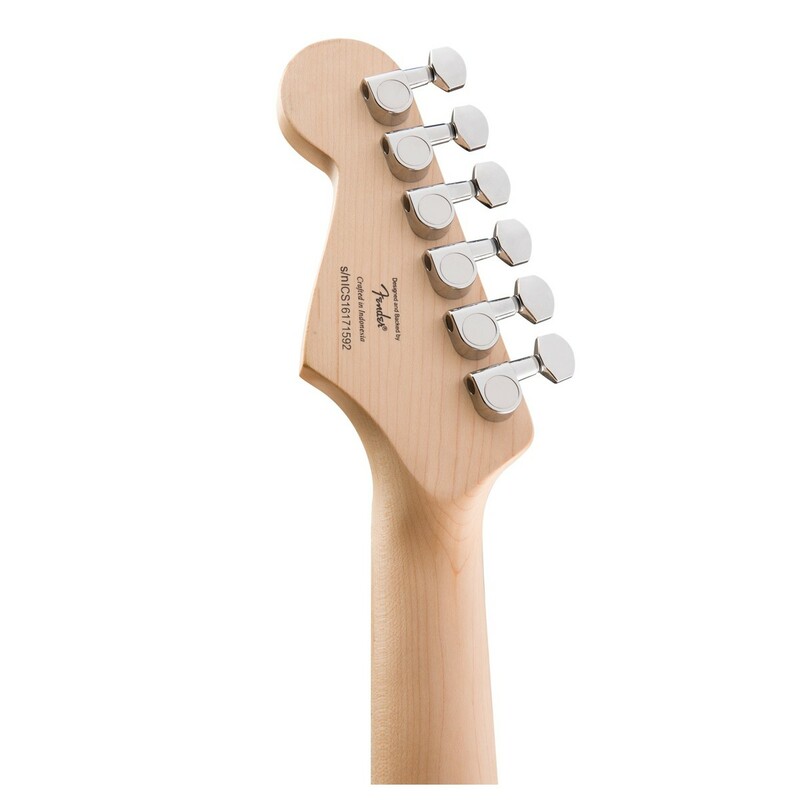 Its lightweight hardwood body ensures the guitar doesn't strain your shoulders, while the smooth maple neck and fingerboard provides a comfortable play. 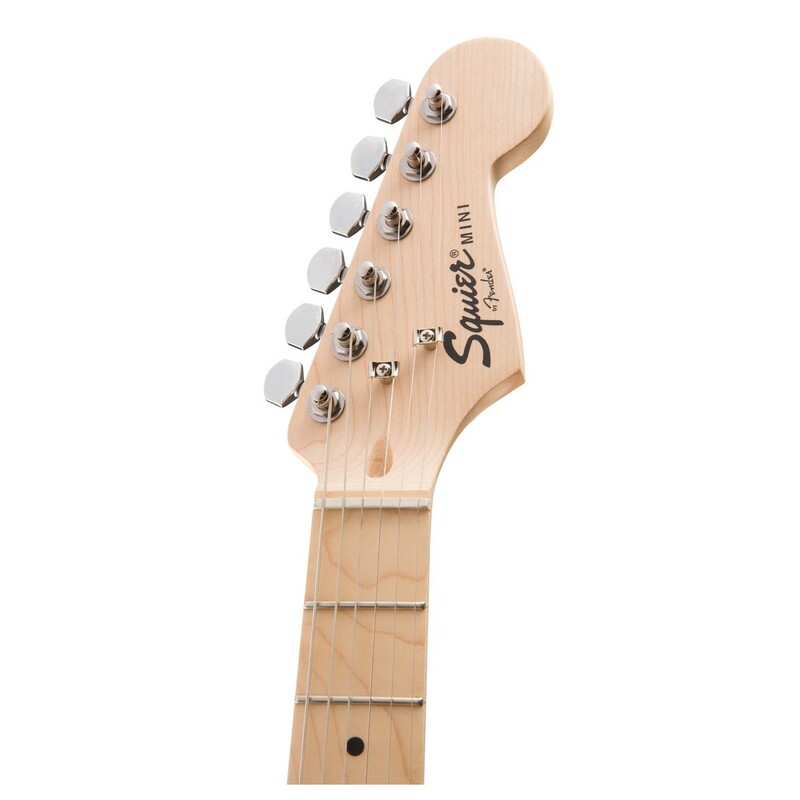 Its vintage-style hardtail bridge and standard tuners enhance string and tuning stability, while its synthetic bone nut improves the overall sustain. A set of powerful pickups provide the Mini Strat with its beautifully crisp, booming sound. Featuring 3 single-coil pickups to creating a range of soothingly classic tones perfect for a variety of musical styles. The 5-position blade lets you switch between the 3 pickups, while the master volume and tone controls provide everything you need to find the ideal sound for your playing style. 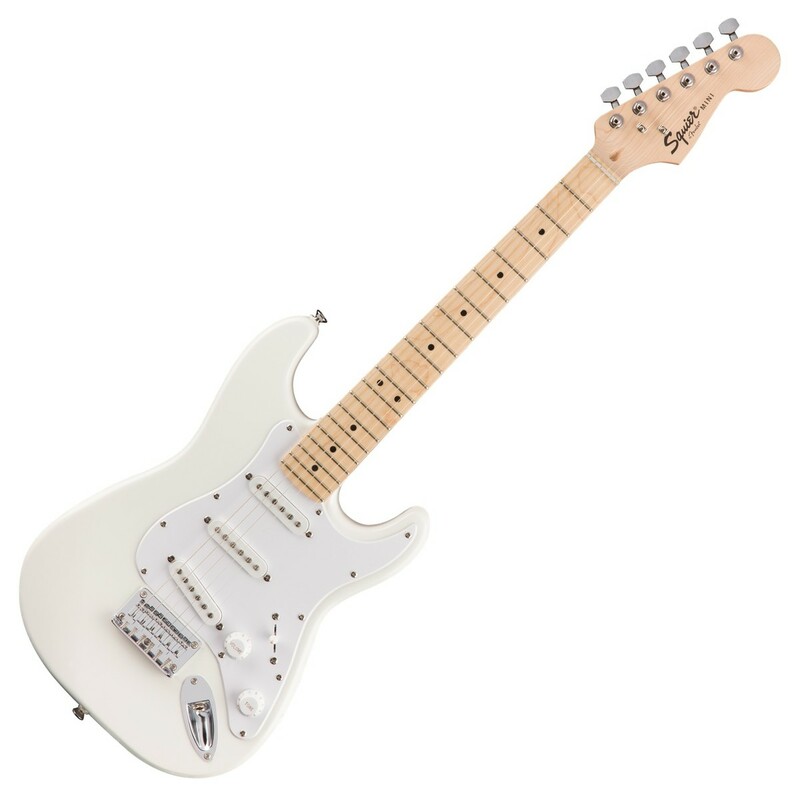 The Stratocaster is synonymous with nearly every great rock act in the history of the genre. From the late great Jimi Hendrix to Richie Sambora of Bon Jovi - the Strat has been present on some of the world's most memorable songs. It's shape and design have become the standard for generations of copycat guitars. The Stratocaster is still the guitar of choice for generations of guitarists. From the epic mastery of Pink Floyd's David Gilmour to Biffy Clyro's Simon Neil, this guitar will likely be present on many more historic songs to come. Legendary Guitar players new and old will inevitably find themselves clutching one of these superior instruments before eager crowds performing classic tunes.